To celebrate The Wolverine Digital HD release on November 19, Twentieth Century Fox Home Entertainment has launched the first-ever multi-touch experience for free on iTunes. Designed for the iPad, but playable on Mac, this multimedia experience takes Marvel fans deeper into The Wolverine than they've ever gone before. Through this visually-driven multi-touch experience, readers will explore all the ramifications of Logan's mutant powers as they are diminished, lost, and then regained. Focusing on four powerful fight scenes in The Wolverine, the multi-touch book adds to the story with original narrative, exclusive behind-the-scenes video, VAM teases, beautiful imagery, and interactive models. There are over 50 pages of content, including photos, Easter eggs and extensive behind-the-scene footage from the making of the film. Fans will get an inside look at how James Mangold made the film from pre-visualization to final 3D product. While 95% of the content is written, nearly every page contains a video, keynote animation, scrollable text, hidden gem, or audio icon. Interactivity includes scrolling text blocks, hi-res full-screen image galleries, pop-ups with additional text and photos to drive the experience. Easter Egg Exclusive Content allows readers to dive deeper into the world of Wolverine as they discover hidden, exclusive content. Interactive Blueprint Images use the built-in iBooks Author Interactive feature for a pan-and-zoom experience to dive deep into the Suppressor Beetle. The Digital Entertainment Group just released their third quarter 2013 Home Entertainment Report, reporting Digital distribution gained additional momentum in the third quarter with a 46 percent jump in estimated consumer spending compared to the same period last year. They stated total consumer spending on all digital products is now up 24 percent versus a year ago. Digital HD is a big focus for Fox Home Entertainment as more users utilize tablets, PCs and game consoles to consume entertainment digitally. Fox is leveraging creative ways to promote digital activations such as this interactive experience for The Wolverine to attract digital users and build their Digital HD business. The Wolverine will launch on Blu-ray and DVD on December 3 and will be available as a 4 disc Blu-ray Unleashed Extended Edition, 2 disc Blu-ray, DVD and Digital HD. 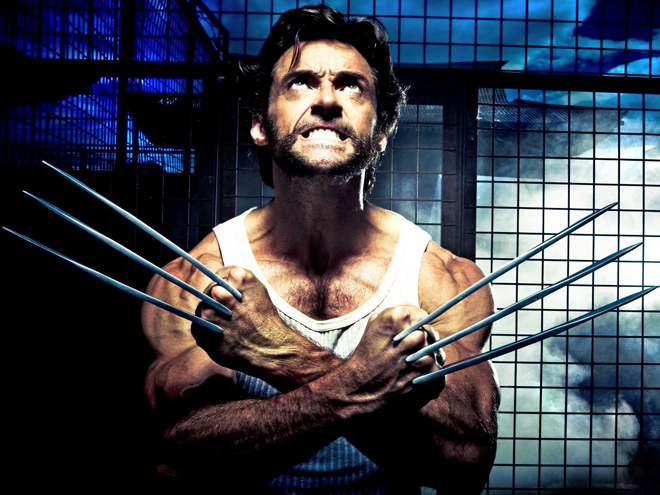 Directed by James Mangold (Knight and Day, 3:10 to Yuma, Walk The Line), The Wolverine was inspired by the celebrated Marvel comic book arc. Hugh Jackman returns to the X-Men character. The film takes the hero to a Japan he hasn’t seen since World War II – and into a shadowy realm of ninjas, mutants, and a brand new class of villains. The Wolverine and faces his ultimate nemesis in an action-packed, life-or-death battle that takes him to modern-day Japan. Vulnerable for the first time and pushed to his limits, Wolverine confronts not only lethal samurai steel but also his inner struggle against his own immortality; an epic fight that will leave him forever changed. The film earned over $371 million at the worldwide box office, becoming the highest grossing film in the franchise internationally. The Wolverine Blu-ray will allow fans to sync with the Second Screen app where viewers can immerse themselves in the world of The Wolverine, including a synced viewing experience, concept art, and many more cool and interactive bonus materials! The Unleashed Extended Edition will feature an extended cut of the film for the first time ever in the entire X-Men franchise, allowing viewers to go further into the creation of the darker Wolverine and the journey that he undertakes.